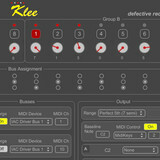 Defective Records has announced the release of Klee, a MIDI-enabled software recreation of the electro-music.com hardware Klee step sequencer. The Klee is a unique step sequencer, unlike pretty much any other step sequencer available today. The fundamental thing that makes it unique is that you can have more than one “step” active at any one time; so instead of just one LED moving across the steps, you can have more than one. Of course, there’s lots more details – hopefully this documentation will help you understand those details. But one of the great things about the Klee is that you can just experiment too – you don’t need to know all the inner workings to get some great sequences from it! 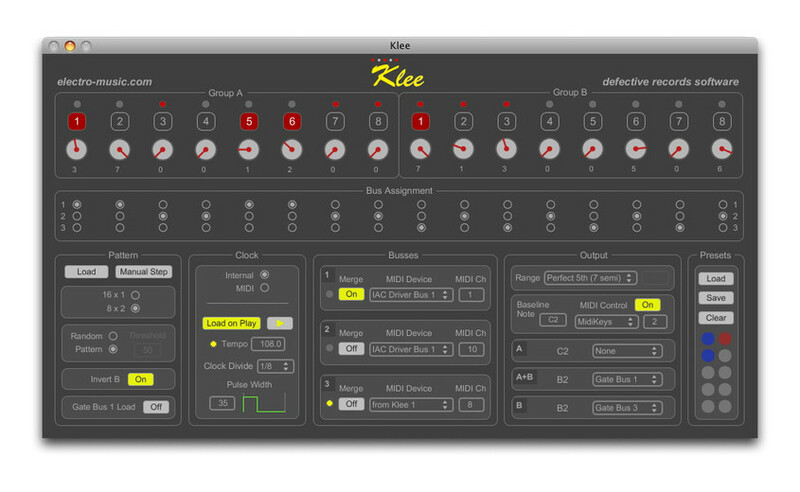 Like the hardware Klee sequencer, the software Klee does not generate any sound on its own – it only sends control signals to other sound generating synthesizers, that in turn make the sound. The hardware Klee generates control voltages, gates and trigger signals, which are then routed to control voltage-based synths. The software Klee on the other hand, generates MIDI signals, which are then routed to either software or hardware-based MIDI synthesizers. 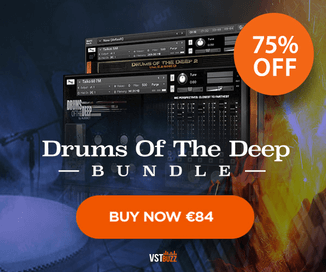 MIDI output to any hardware or software synths. Internal or MIDI clock control. 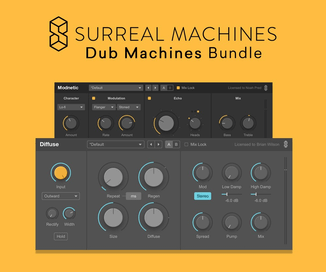 10 preset slots for instant recall of parameters. Presets can be saved to and loaded from disk. Synchronous load – loading of pattern happens on clock pulses, and not in between. Load on Play feature to allow for loading of pattern each time clock started. Custom definable note range allows for alternative scales. Klee is available to purchase for PC and Mac for $40 USD.